all videos from the user favorites. The output files are downloaded as MP3 (high, normal and economy quality) or WAV (lossless audio) files into the program's folder in My Documents, and they retain the name of the source video. Free YouTube to MP3 Converter makes even more work for you. 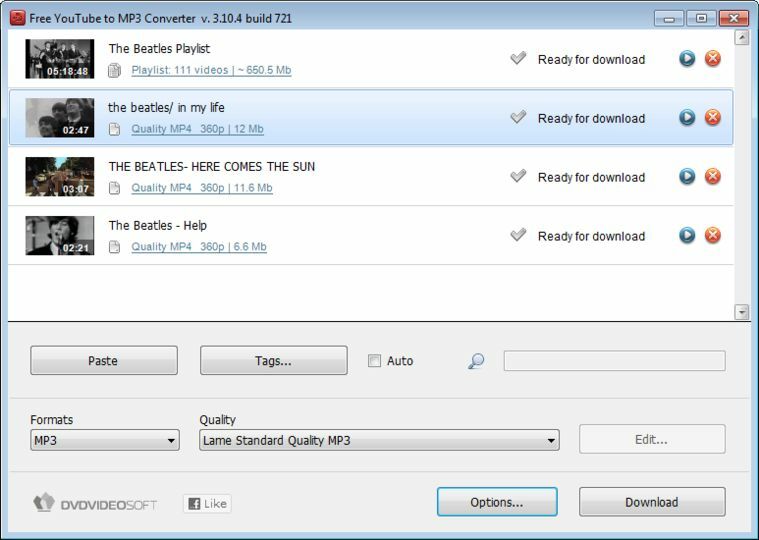 It automatically fills the title tag and the artwork in the downloaded mp3 files, which can be seen in iTunes, Winamp or just a Windows Explorer folder. The program integrates into browsers so you can download mp3 right from a YouTube page by selecting the 'Save YouTube Video as MP3' point from the right-mouse-click menu. Free YouTube to MP3 Converter contains no spyware or adware. It's clearly free and absolutely safe to install and run. This software works like charm! But from Windows10 new update it started breaking up. I dont know why so i started to use online tool for youtube to mp3 converter like mp3wallet.com, other who face same this might can help. Works great for me! It does need to be updated from the companies website periodically otherwise it wont DL any thing and give an error message. Other then that does what it says and good encoding options. I use this program quite a lot, its very good and easy. cant agree with the previous reviews.. this apps working good with me. It saves my time when I need the whole channel get downloaded - it goes really fast. Dont waste your money It not works. I found virus on it.